Is your real estate website correctly optimized for mobile search? If your website isn’t specifically optimized to provide the best performance on mobile real estate searches, you may be losing the business of home buyers in some key demographics. The Digital House Hunt, a landmark real estate survey from the National Association of Realtors and Google, found that 89% of new home shoppers use a mobile search engine to begin and continue their research process. Another study of real estate buyers, NAR’s Home Buyer and Seller Generational Trends, revealed that 22% of home buyers between 40 and 50 years of age (Gen X) and 26% of home buyers aged 22 to 39 (Gen Y or Millennials) found the home they ultimately purchased via a mobile device. If your website performs poorly on mobile search, you could be losing almost one of every four motivated buyers in these groups. Can you afford to turn away a quarter of your business? The SEO experts at For Sale Marketing have come up with three essential SEO tips for real estate agents that will help you improve the performance of your website so you can reach more home buyers through these all-important mobile searches. Websites that are designed for viewing on desktops are often difficult to read and next to impossible to navigate through for home buyers conducting searches on mobile devices. Google has also added mobile friendliness to its list of mobile search ranking elements, which means that if your real estate site does not perform well when accessed via a mobile device, it will be assigned a lower position on mobile search results. Try Google’s free mobile-friendly website tool to test your site’s performance. If the test results indicate you need to improve your website’s performance on mobile searches, a real estate SEO company can update your site to a responsive real estate website design that automatically adjusts to provide flawless performance however it is accessed, whether via a desktop, smartphone, tablet, or other mobile device. The way home buyers search for properties has changed with the advent of mobile search engines that enable verbal queries. Unlike desktop searches which rely on keywords or formally written phrases, the verbal searches on mobile devices have a more informal tone. Basically, users tend to phrase verbal searches the way they would ask a question of a friend. A real estate SEO company can perform a keyword analysis to discover the best keywords and phrases to use, including longer, verbal question-formatted phrases, and local, neighborhood-based keywords that will help your real estate website score a higher position in mobile search results. Search engine analytics reveal a lot of valuable information that can help you optimize your website to improve its performance on mobile searches. You can see how clients find your website, what devices they are using to access it, which strategies are gaining the best response through length of page views, and much more. A real estate SEO company knows how to gather information through a variety of search analytics and tools, and can advise you on the best way to apply that information to adjust your search strategies and make them more effective. For more real estate SEO tips, along with expert help to ensure your website performs better on mobile searches, consider For Sale Marketing. As a dedicated real estate SEO company, we are experienced in the latest SEO strategies for real estate, including the specialized requirements for mobile search. We can give your real estate agency everything you need to ramp up your search performance, from responsive, SEO-friendly website design to expertly optimized content creation services, monthly SEO maintenance packages, and more. 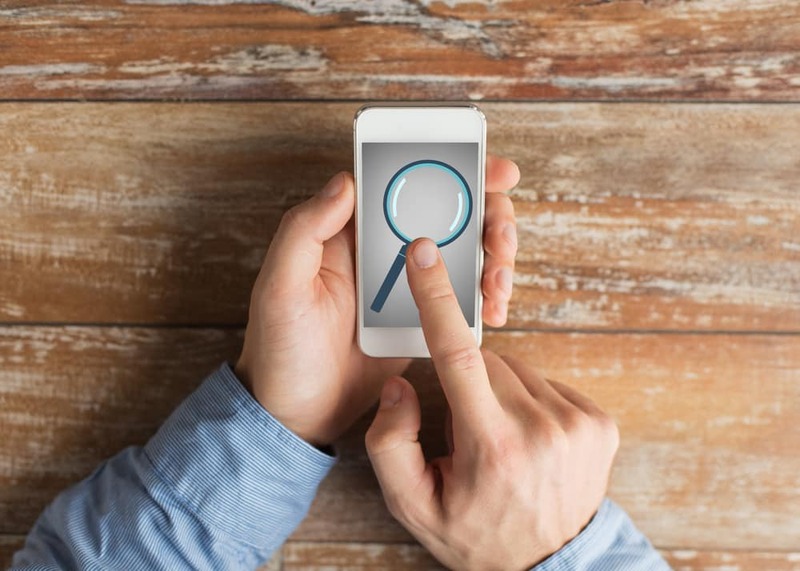 You can count on us to give you the edge you need to raise your mobile search profile so you can reach motivated home buyers and sellers no matter how they search. Contact us at For Sale Marketing today at 954-779-2801 for expert real estate SEO services to gain you the high mobile search visibility your agency needs to succeed!